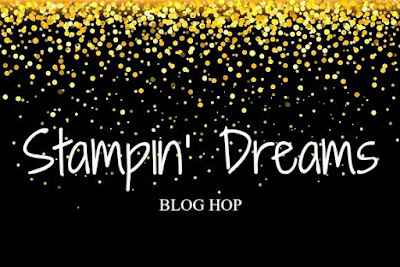 Welcome to the Stampin' Dreams Blog Hop for July! You are currently visiting Jessie Holton from Australia. This month, the theme is CASEing (Copy & Selectively Edit) the 2017 Annual Catalog! So we have all chosen a picture of a card or project from the catalog & used it to inspire our own projects. We might have been inspired by the stamps, colours, layout or theme. And here is my very simplistic take on it that I used for Maddie's party last weekend. I love the simple layout that makes it easy for beginners or advanced card makers to get a great result! And the Whole Lot of Lovely Designer Series Paper is so beautiful, you really want to let it be the star. I've used the Pear Pizazz leaf print paper with the Pool Party Shimmer Ribbon & ink. The sentiment is from the Lots of Lovely stamp set & doesn't it just fit perfectly in the Pretty Label Punch! I've added a nest of Copper Thread & some copper sequins from the Metallics Sequins Assortment for bling. The sentiment is propped up on Dimensionals. I've also done some simple double & triple stamped flowers & leaves on the inside & I just love this sweet sentiment, perfect for so many different occasions. All of these images & the sentiment are from the Lots of Lovely stamp set & have been inked in Pool Party & Pear Pizazz. 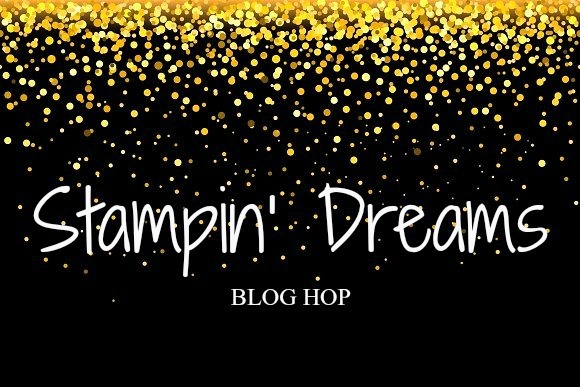 I hope the projects you've seen here on my blog today have inspired you & brightened your day. You are currently visiting Jessie Holton from Australia. Please see the list below & hop through the list to see all our projects from all over the globe! You don't want to miss any!